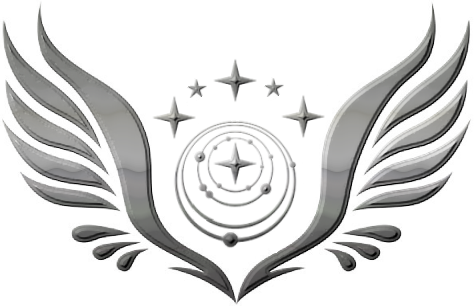 Evangeline's Elite Expeditionary Force (EEEF) was officially chartered in July of 3303. Our headquarters is Chu City in the Shana Bei system. We aim to be the bridge between Science, Exploration, and Combat Readiness. There is so much undiscovered in the darkness of the galaxy, we will be pathfinders carrying the torch of discovery. With the return of the Thargoids on the horizon, we cannot risk standing by hoping for a peaceful outcome. We must arm ourselves not only with the powerful ships, but with knowledge as well. Throughout the Galaxy, the EEEF is steadily gaining fame for its exploratory, tactical, and technical proficiency. We owe our allegiance to the Federation; however, we operate outside the government and Navy. We will proudly serve, study, and fight alongside CMDRS who share our values. At this time, we do not support any specific Power Play and are open to all CMDRS regardless of rank, creed or color. Our primary goal is to assist the galactic community. Our organization lives and dies by the values of the greatest military force in Earth’s history prior to interstellar space travel. To explore into the unknown, providing a strong military presence while doing so. To protect the Galactic Community by bringing the fight to any enemies that seek to do it harm. To provide a safe haven for researchers, explorers and scientists to work in peace. Do you want to join our ranks? If so JOIN THIS PAGE, and message us on our Discord. Simply type @admin in your introduction message, and myself or Archangel 7 will get you going. Evangeline's Elite Expeditionary Force members are known as Evangeline's Angels. We are the torch that brings light to the cold dark of space. We are a Federation aligned group, but will work with any Pilot who shares our mission goals. Our primary mission is to explore into the black and guard against all known and unknown threats to the Galactic Community. We do not know what secrets the Galaxy holds, but we will be prepared and we will find them.